And the people cried out to the monarch in their hour of need and she answered their prayers with love and kindness. She was theirs and they were hers. I so admire HM. 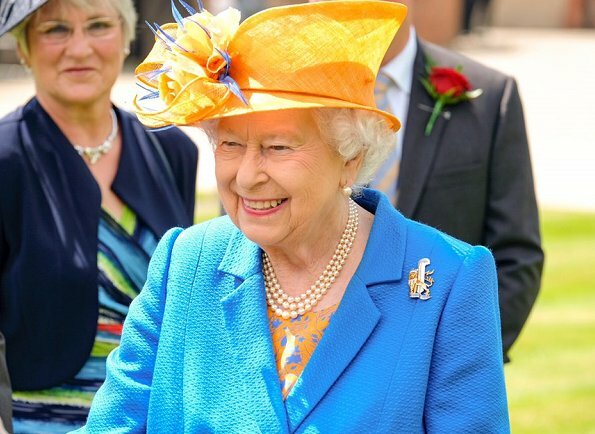 She is still serving and keeping a busy schedule, and shows her care and committment to the people of the UK. I love HM's fearless and often colourful style. 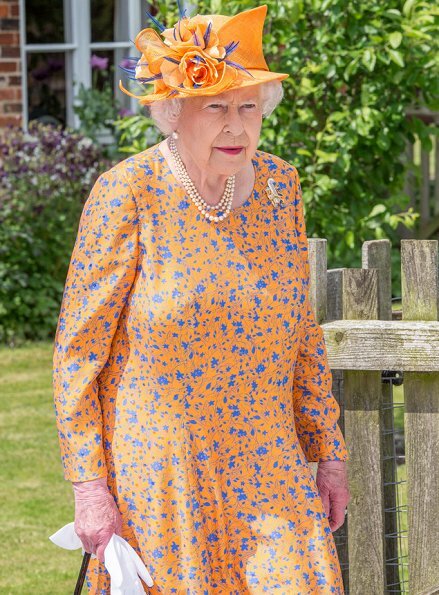 This a rather jarring colour combination until you see the charming dress without the coat. Not crazy about the hat or the color, by themselves, but without the coat it looks better. 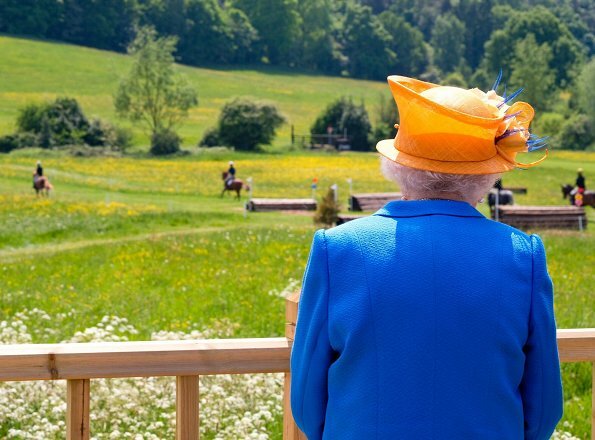 It's amazing to think at 91, she's still doing what she's doing ! And her beautiful smile never ages ! 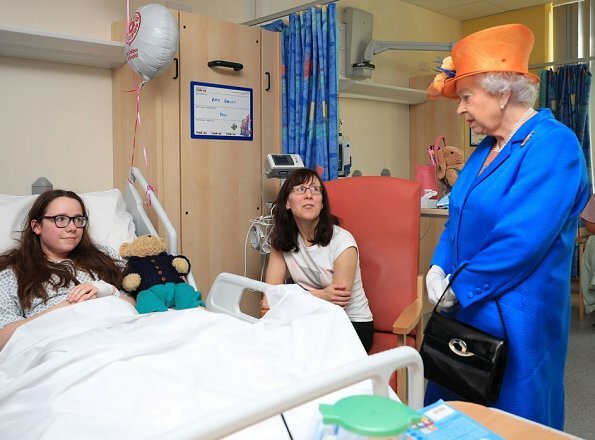 I looked at the hospital photos again and it seems very rude to stay seated when the Queen is in the room. 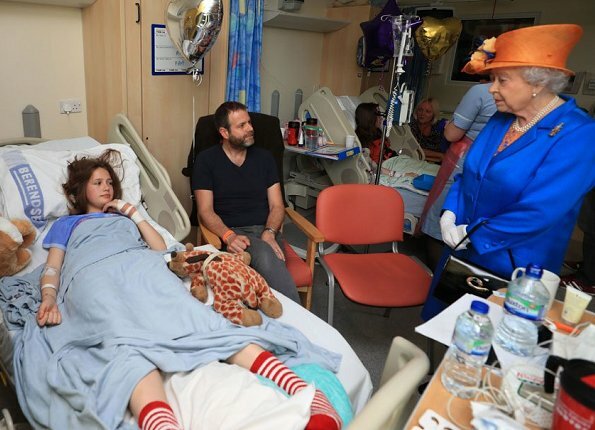 Actually, that would be the most minimal courtesy to be shown to anyone her age who is making a kind visit. 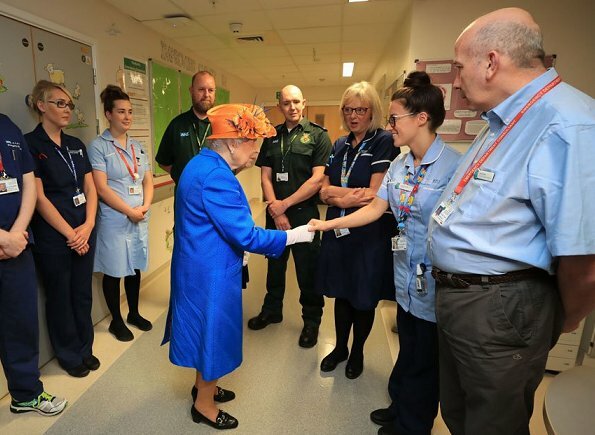 I think Her Majesty would have chosen her ensemble very carefully, to be bright and positive when visiting children in Hospital. 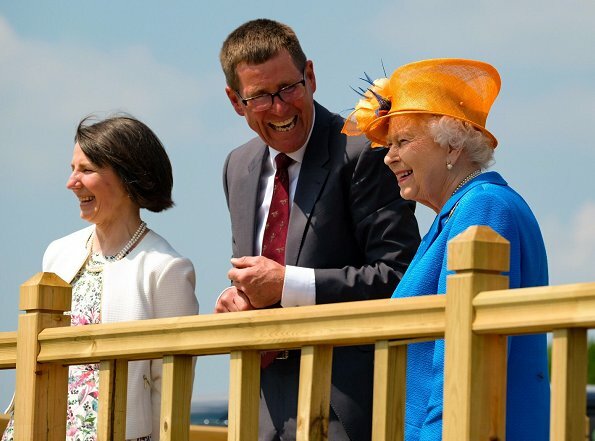 And in all honesty after what those families have been through I doubt the Queen would have minded that the parents of those injured children (who are all still in shock) remained seated. Stand strong Manchester, our hearts and thoughts are with you! She is definitely my queen!